Resting your mouse arm on the Bone Wrist Support ($6) doesn’t look that comfortable, but maybe it is. It will look pretty cool just laying there though. With the All in One Coolbox With Wheels ($143) you will get both a table, stools and a roller coolbox in one product. Here’s a beanbag you don’t see every day. 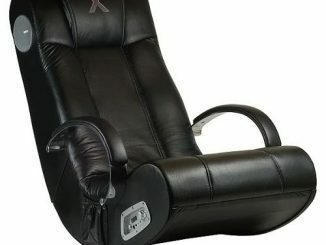 SlouchPod Interactive XT ($509) is designed exclusively for gamers, music lovers and media junkies. It features built-in audio system with 2 x 5W stereo speakers and 10W sub-woofer. Inventor Spot has a nice 5 Innovative Ways To Light Up Your Garden post up. Seen above is the Mushroom Color Changing Solar Lights (left) and the Firefly Solar Garden Art Light. The Toothpick Ballet Holder ($19) manages to at least make it a little bit interesting to grab a toothpick.